Looking for a last minute Halloween Costume idea? 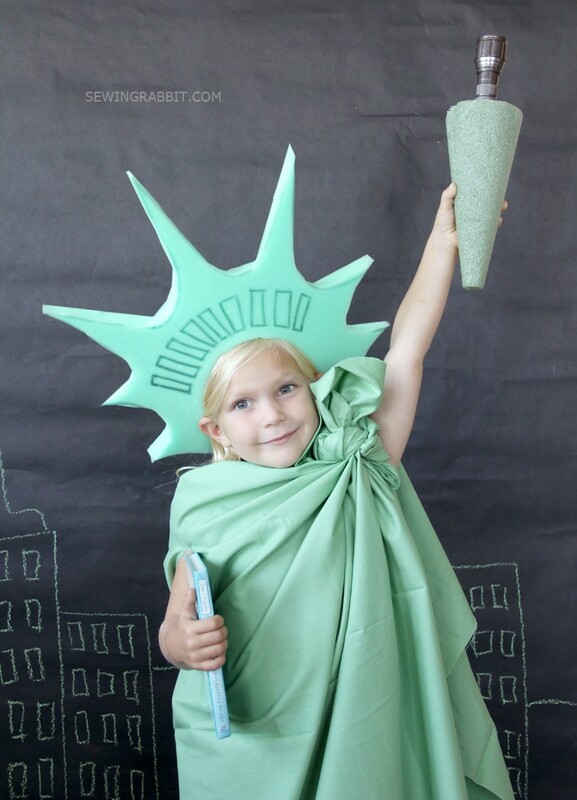 How about showing some good old fashioned American pride with the Statue of Liberty costume?! 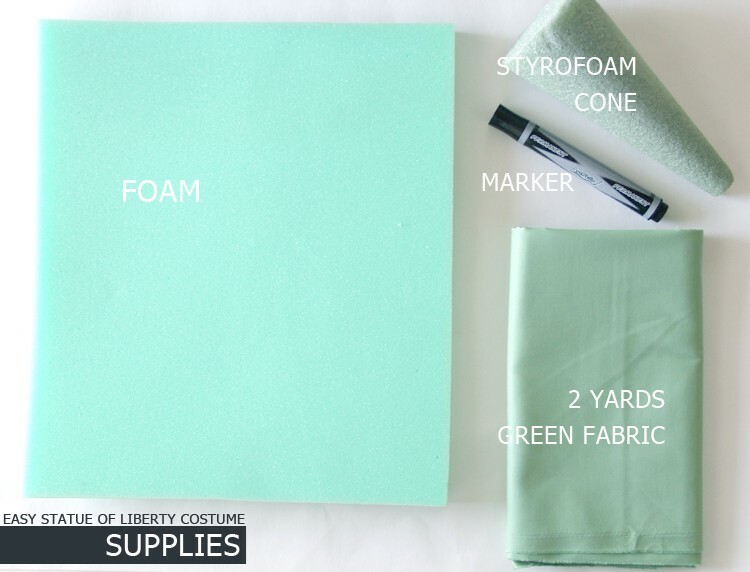 With no sewing involved, this costume can be thrown together in less than 20 minutes. 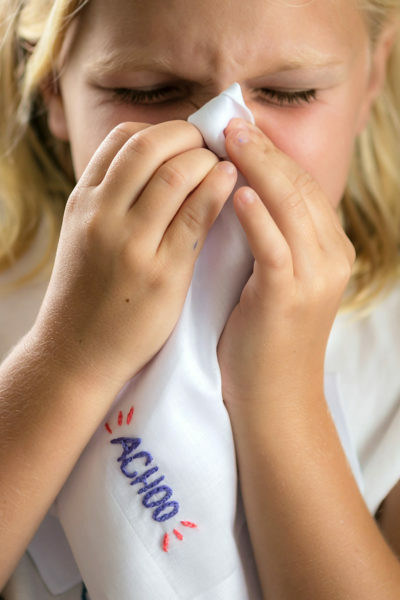 Perfect for both kids and grown ups alike. All you need is a quick trip to your local Jo-Ann Fabric Store and you will be in business for a fun, family friendly costume this Halloween. I am not kidding when I say this costume took me approximately 20 minutes to whip together, and it looks super cute. I am sure there are fancy ways you can make this more professional, but sometimes a last minute, easy costume is exactly what you need! 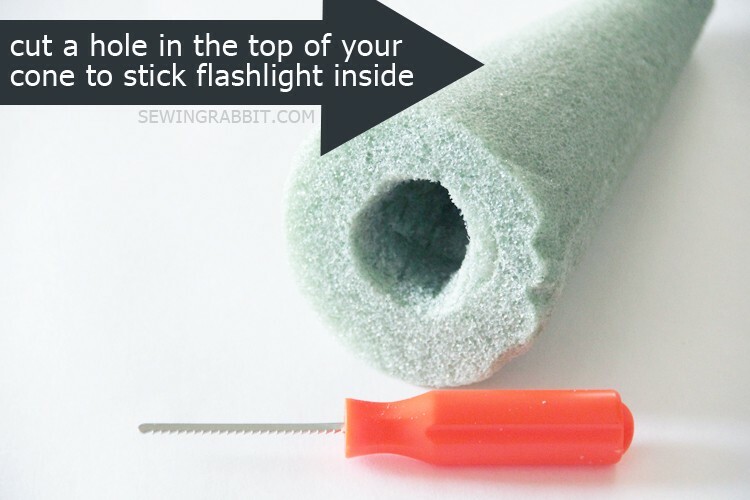 Either measure around your head, or use a headband, and draw a circle on the bottom center of your foam. 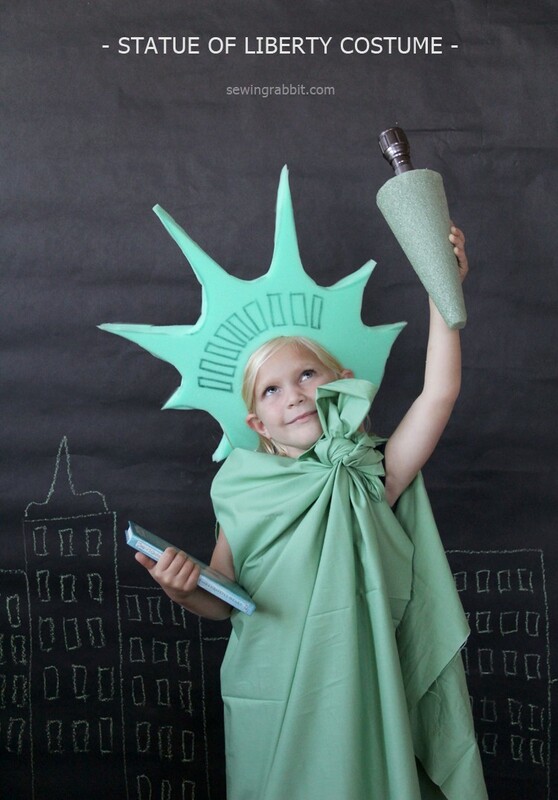 Using the marker, draw the statue of liberty ‘crown’ shape. 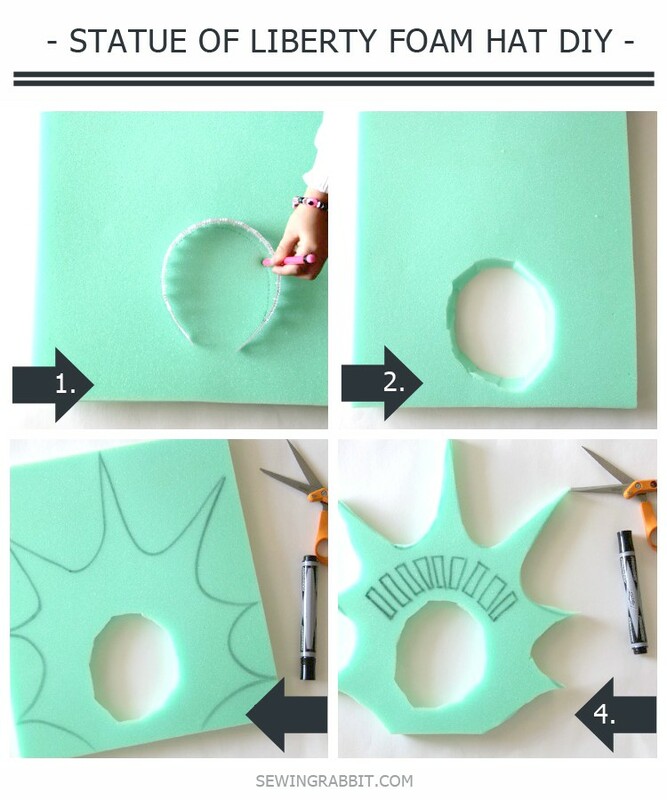 Cut out, and draw the rectangles around the top of the crown to mimic the statue of liberty’s crown look. 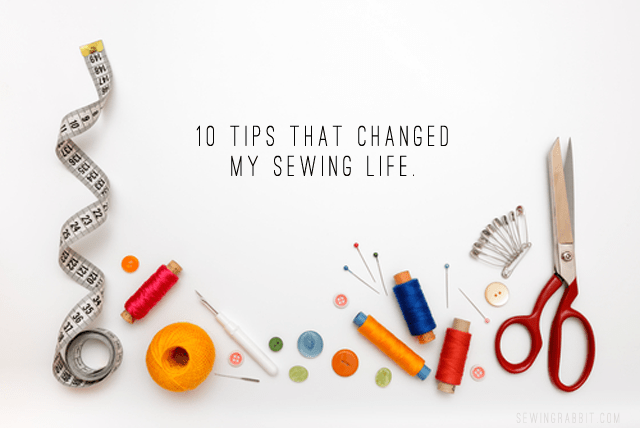 Slip around the top of your head, and you are done! To make the torch, I simply used a small knife (like this pumpkin carver), and cut a hole in the top of the foam cone. Then I simply pushed the flashlight inside, and was good to go. I felt particularly happy about this accessory, as it serves a dual purpose. It is not only part of the costume, but it will help provide light for Halloween night as we go trick or treating. I mean, could this be any easier?!! 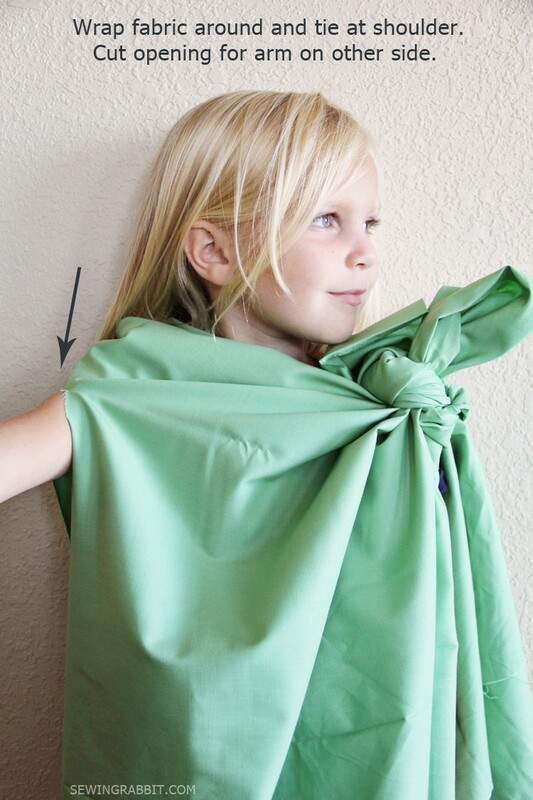 Tie the fabric around yourself (or your child), and tie at the shoulder. Then simply cut a small hole for your other arm to come through, and you are done! Reasons why I love this? 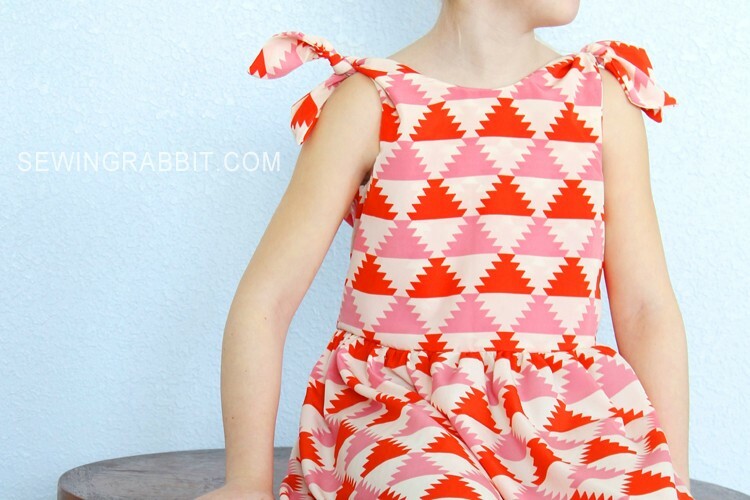 Because you can reuse the fabric when you are done for sewing something awesome…double bonus points! Simply slip a book in their hand, and head out the door. 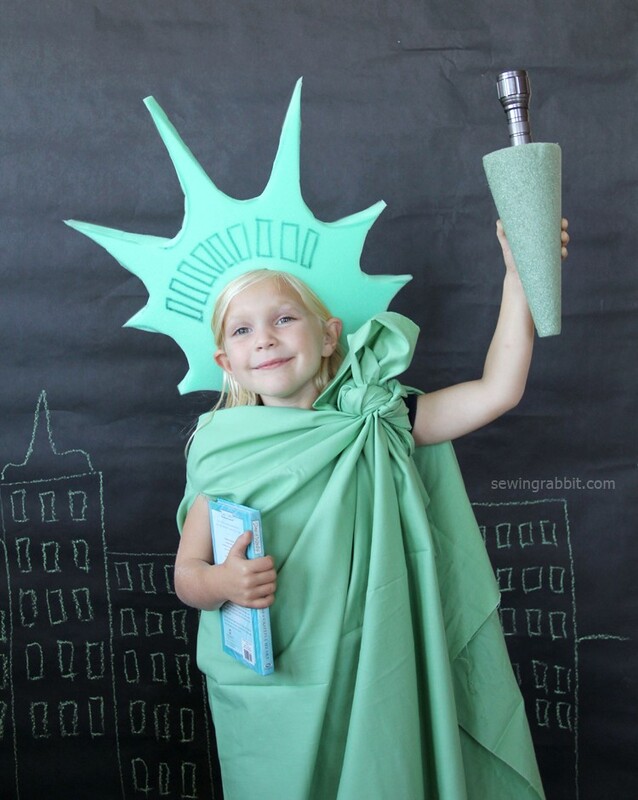 An easy, last minute Halloween costume that is totally adorable. Are you having a handmade Halloween this year? 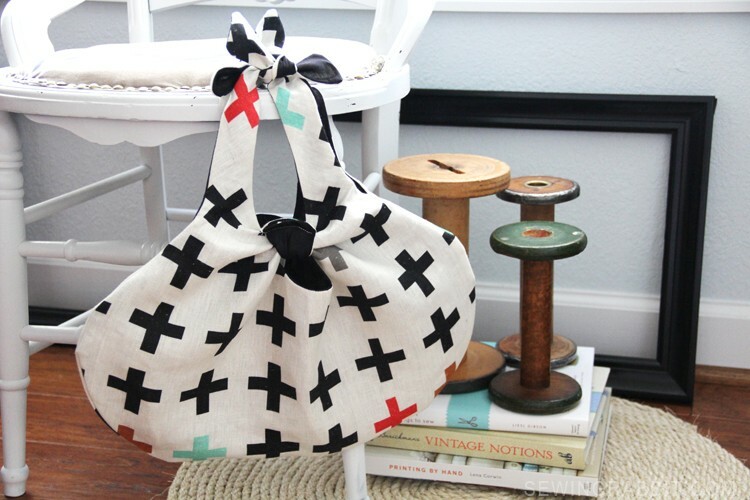 Link your project up to the Jo-Ann Fabric & Craft Stores sharing hub HERE, and use hashtag #DIY4Halloween on your Social Media channels for a chance to get featured by Jo-Ann Fabric & Craft Stores!